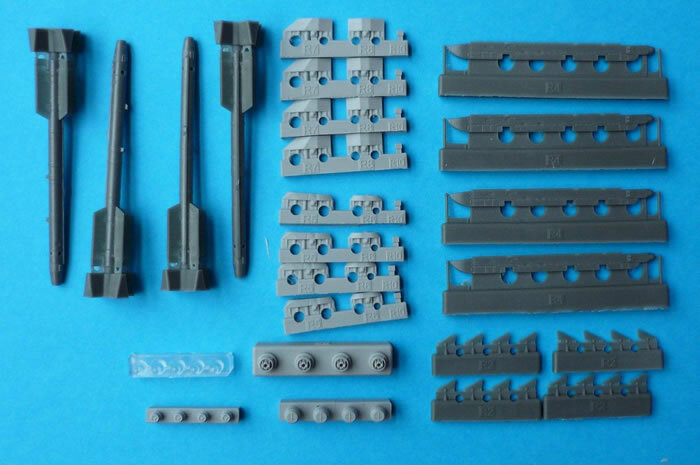 Lovely detailed weapons set, for those who like to improve the look of their MiG’s and Sukhoi’s. 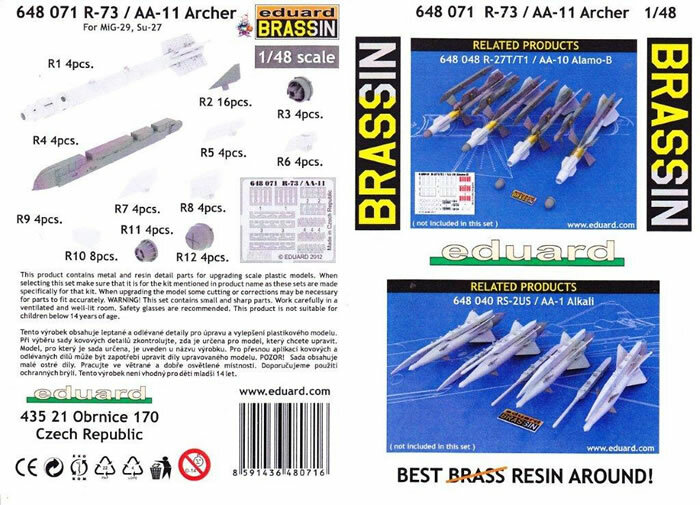 Entering service in 1982, the R-73 (AA-11 Archer, NATO reporting name) is an infrared-guided (heat-seeking) missile, which when coupled with a helmet mounted cueing system has a very high off boresight capability. The missile has been upgraded since its introduction however; these changes have been internal to the missile. 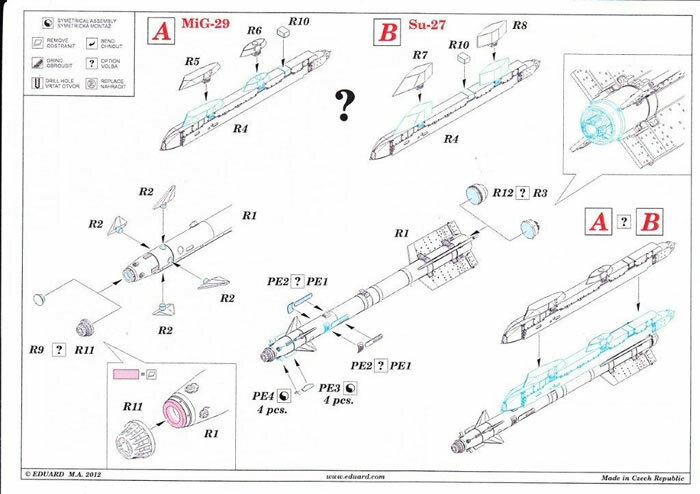 The missile can be carried by MiG-29, MiG-31, Su-27, Su-34, Su-35 plus modernized versions of MiG-21, MiG-23, Su-24, Su-25 and by some soviet helicopters, including the Mil Mi-24, Mil Mi-28, and Kamov Ka-50. 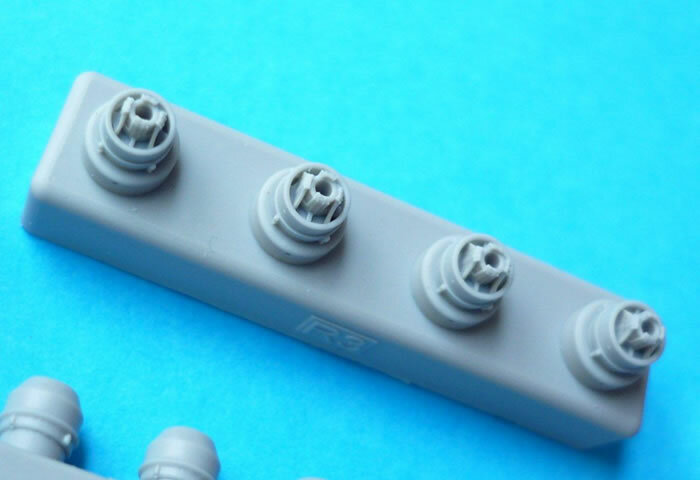 The missile body (four provided) and rear fins are all molded as one resin piece. 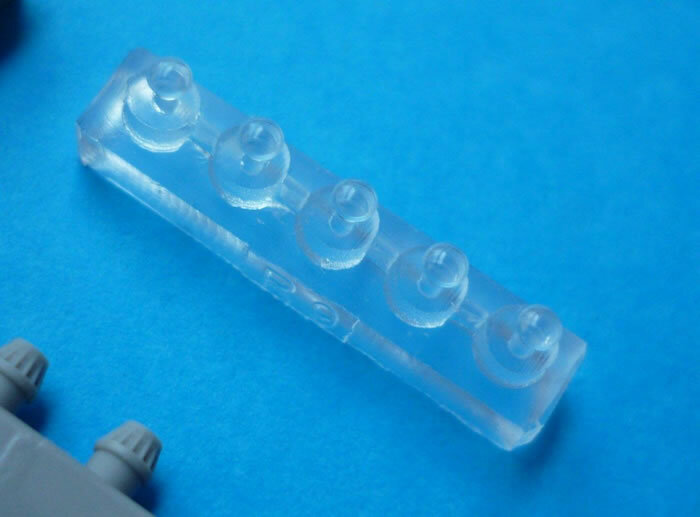 The forward canards are resin while the fixed destabilisers and AoA vanes are photo etch. You are provided with options for a standard IR dome or environmental cover. The same applies to the thrust vectoring exhaust that can be replaced by an environmental cover. 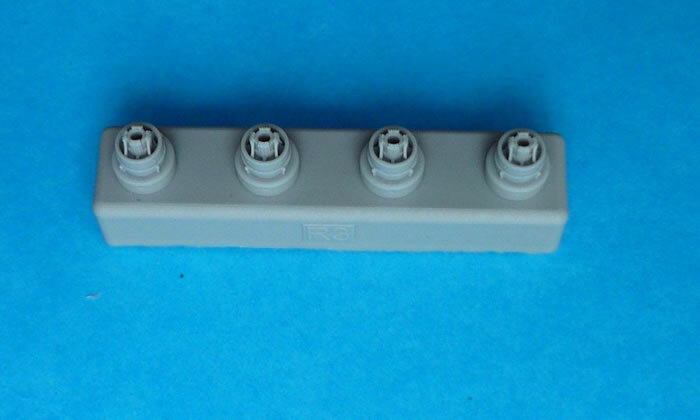 Common APU 73 launch rails are provided with different parts that apply to either the MiG-29 or the Su-27. 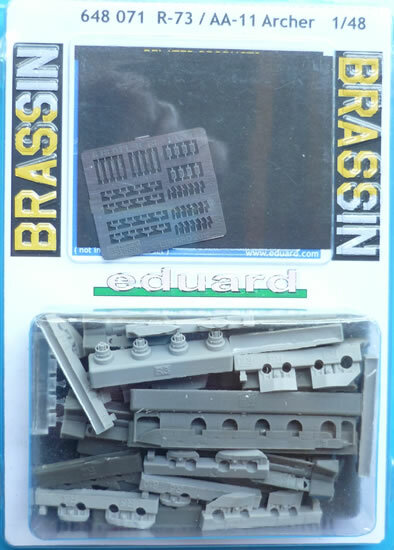 I do wish that Eduard would provide painting guides…especially since weapons generally stay in the same condition as manufactured. It would be nice to have a painting reference for both live and inert weapons as is available for most Western missiles. 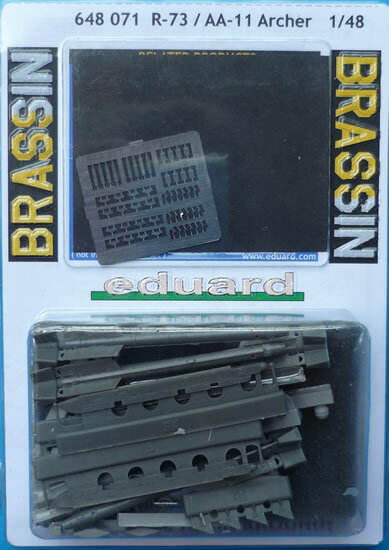 All in All these Brassin sets will add an amazing level of detail to your MiG’s or Sukhoi’s. Highly recommended.